ICSR is a group of highly experienced individuals passionate about helping others to ensure that they meet regulatory requirements and achieve their goals within an environment of business, legal and regulatory change, be it FCA, PRA or otherwise. These leaders are supported by a Talent Pool of like-minded and experienced individuals who bring depth and additional skills according to the customers’ needs to ensure that a business in regulatory transformation can implement and embed change appropriately. Kenneth was born in Brisbane, Australia in 1964 and was educated at schools on the Gold Coast, Queensland and in Surrey, England before undertaking his first Law degree part-time at the Queensland University of Technology while working as a trainee solicitor from 1984 onwards. After completing this degree and being admitted as a solicitor in Queensland in 1989 he moved to the UK and undertook a Masters of Laws at LSE a part of London University. He also was admitted to the roll as a solicitor in England and Wales in 1991. Following completion of his studies, Kenneth took work at Charles Russell before moving in-house at Lowndes Lambert in 1994 as Assistant Group Solicitor covering a broad spectrum of issues and topics as expected at a rapidly growing and transforming international company. After 6 years he left Heath Lambert as it had become and joined Reynolds Porter Chamberlain shortly after which he was made a partner. He worked on a variety of issues before becoming one of the founding partners of their Commercial and Regulatory practice which grew organically before he left in 2007 to join ACE European Group as the General Counsel. Here he was responsible for legal, company secretariat and compliance across the EMEA region. During his time at these regulated organisations and while at RPC Kenneth was involved in a significant number of issues where regulation was a centre point. He has been involved in many regulatory disciplinary proceedings both at Lloyd’s and outside and numerous business reviews including skilled persons reviews and subsequent remediation exercises. Along the way there have also been a significant number of acquisitions with consequential restructures including cross-border mergers as well as other corporate activity such as IPOs, joint ventures, business transfers and the development of businesses in new territories. Kenneth was also a director of regulated entities trading in over 30 countries with a combined turnover totalling more than $5 billion. He was approved by the regulators in each country where approval was required including being an Approved Person for the 5th or 6th largest regulated insurance company in the UK. His experience resulted in a deep understanding of both UK and international corporate governance. Jason qualified as a Chartered Accountant with Ernst & Young in London, whilst working on external audits of Lloyd’s businesses and insurance companies. He joined the London-listed Hiscox Group in 1997 to establish and grow the internal audit function. Reporting directly to the main board chaired by Robert Hiscox, this provided an excellent development environment and when Hiscox’s compliance officer retired in 2003 Jason was invited to take on leadership of the compliance function for the Group as a whole and to become the company secretary of the Lloyd’s managing agency. During Jason’s tenure the Hiscox Group expanded significantly, in size and especially in terms of geography and business diversity, bringing rewarding challenges for Jason. The Group grew from a Lloyd’s-centric operation to a true multi-national, headquartered in Bermuda with operations in 14 countries, and a thriving retail insurance business in the UK, mainland Europe and the USA. Jason recruited and oversaw a multi-country team of compliance professionals and was responsible for the Group’s regulatory relationships in all countries. Jason retained an oversight role for the Hiscox internal audit function for the entirety of his 19 years’ service, during which time it developed into one of the most respected IA teams in the market. He also developed the company secretariat for the Group as a whole, and played a leading role in shaping the corporate governance framework of the Hiscox Group through the challenges of re-domiciling to Bermuda and Solvency II. From developing Hiscox’s first risk register in 1999, to re-designing the Group’s risk management framework under Solvency II, Jason has always maintained a strong involvement with the risk management function, working directly with the CRO and CEO to ensure regulatory satisfaction and efficient compatibility with the governance framework. He also created and chaired the Hiscox Group’s information security committee and led a multi-year programme to implement security and privacy reforms. Outside of Hiscox Jason has served on several market groups, most notably the Lloyd’s Market Association Regulatory Committee for 9 years of which he was Deputy Chair for 2 years and Chair for 4 years, and the Lloyd’s Brexit Committee. Jason is married with a daughter. In his spare time, he races karts at international events. John has worked for over 35 years in the Lloyd’s Market. The first part of his career was acting as an advisor to the individual investors in the Market at the time (“the Names”). In the mid 1990’s he worked for Lloyd’s during the Reconstruction and Renewal phase where Lloyd’s divested itself of the historical losses. This was a fascinating period. It also acted as a transition into the managing agency world acting for corporate capital. It was from this time on that John specialised in compliance and acted as the Money Laundering Reporting Officer. John is a Fellow of the Institute of Chartered Secretaries and Administrators and has acted as a Company Secretary in several companies. He has also acted as a Board director. His broad spread of experience has seen him acquire knowledge from small start ups to large PLCs, operate as the sole compliance person in a firm and head a team. John has also acted as the Chair of the LMA regulatory committee and chaired the Compliance Officers Group in the Lloyd’s market on and off for over 15 years. He is a member of the Worshipful Company of Insurers and a member of the Institute of Money Laundering Prevention Officers. John’s preferred approach is to work with a firm supporting their objectives and providing technical guidance. He specialises in work related to governance process effectiveness and control assessment, Senior Insurance Managers regime, licencing, company structures and Brexit, regulatory applications, Conduct Risk, Financial Crime, Board effectiveness reviews, Compliance monitoring programmes, application of the Modern Slavery Act and Broker monitoring and due diligence. 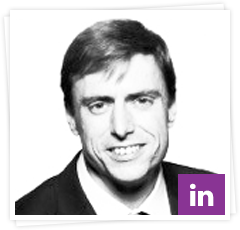 Craig has over 7 years in the industry with experience in: IDD issues including, training staff, developing remuneration and other policies, creating IPIDs and client disclosure documents; Financial Crime including creating a Financial Crime Framework and advising on the potential impact on proposed risks; Leading a KYC team at an international broker; Certified GDPR Practitioner with experience of developing data retention and privacy policies; disseminating how regulatory change (including Insurance & Enterprise Act, SIMR and Transparency at Renewal) will affect a firms’ operations, informing senior stakeholders and putting a compliance plan in place; conducting international licensing research.